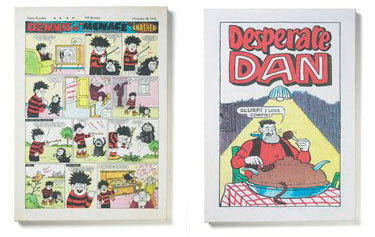 Relive your childhood and brighten up your walls with these Beano and Dandy canvas prints. The prints feature comic strips from the archive of publishers DC Thomson and more specifically, Dennis The Menace and Desperate Dan. They are printed on a 100 per cent cotton canvas and are sized at W70 x D3 x H51 cm. Available now, they retail for £135.